Just received a note from Justin, from Jeffersonville, IN, about rescuing a 1962 CJ3B. The jeep had lived and worked on a family friend’s farm. The owner had passed away a few years ago and the jeep was resting unused in a field. 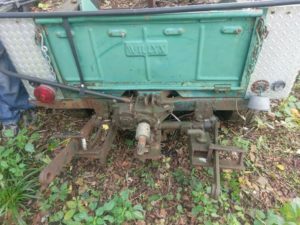 The jeep has an original model Love Lift and was used for mowing around the farm. Justin is planning on repairing the lift and making it operational again. He asked if we had any additional information on the lift and unfortunately we don’t. The sales/installation brochure is the best documentation we have ever seen. We have been working on the history of the Love Lift and while we have learned some interesting facts, we have not uncovered any information that might be useful to a restorer. 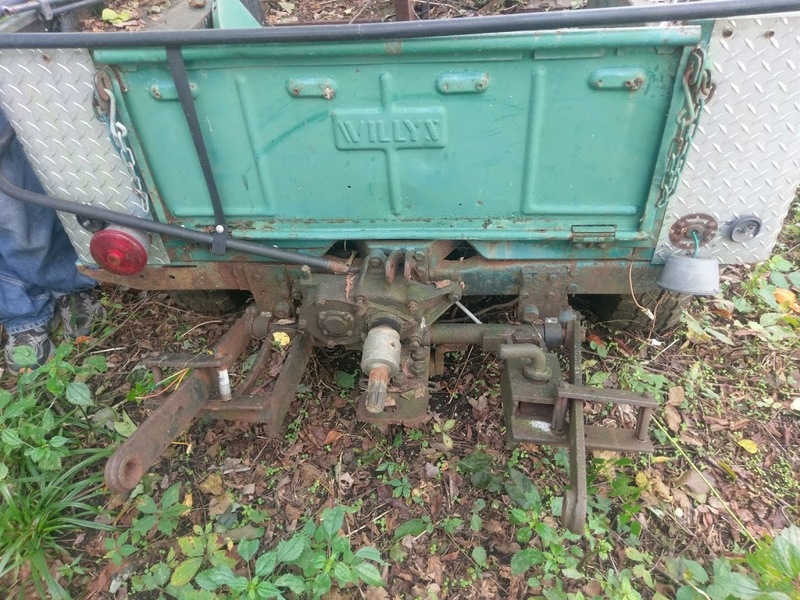 What struck us about Justin’s find is that the lift, most likely made in the period between 1946 and 1951 or so, was installed and working in a 1962 CJ3B. 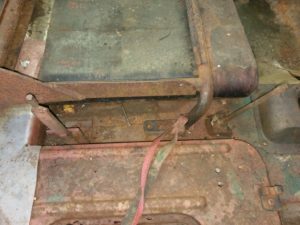 The Love Lift, like the Newgren and Stratton models that fit under the bed, would need no modifications to be installed in any post-WWII jeep. 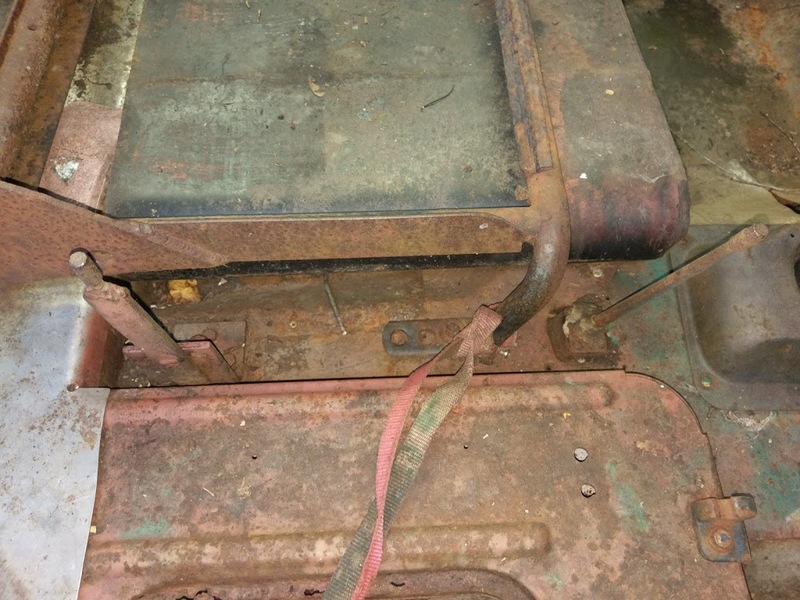 It is possible, maybe even probable that the lift had been installed on one or two earlier model jeeps before ending up here. We continue to marvel at the engineering of the Love Lift. 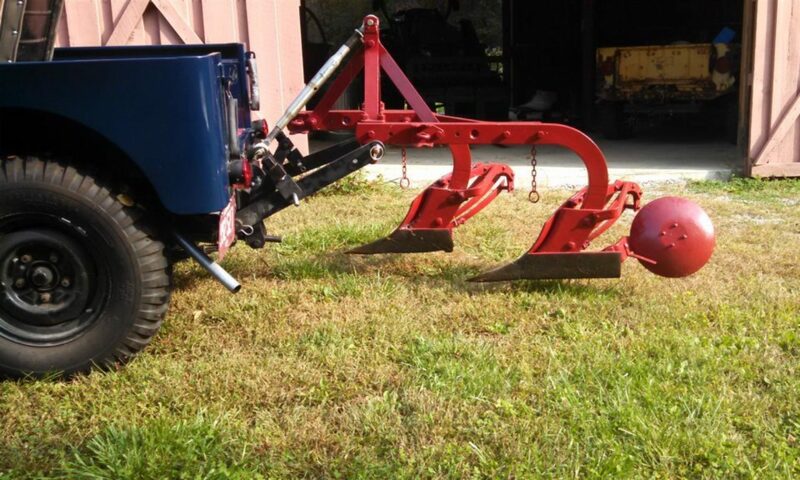 Love was able to design the lift to work with Ford-Ferguson 3-point implements, a feat major tractor manufacturers weren’t able to accomplish until patents expired in the 1960s. So nearly 70 years later Love’s creation is still (or soon will be again) working on the farm. We think that is a great farm jeep story.